sbe’s Hyde brand has been visionary in transforming how spectators enjoy entertainment and sporting events with its first evolution of the nightlife heritage brand Hyde Lounge at STAPLES Center in Los Angeles followed by Hyde at American Airlines Arena in Miami. 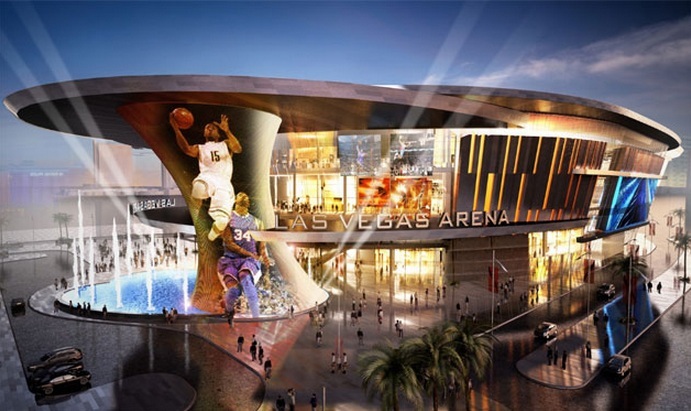 Las Vegas Arena, a 20,000-seat venue located between New York-New York Hotel & Casino and Monte Carlo Resort and Casino, has been developed through a partnership between AEG and MGM Resorts International. The venue is scheduled to host more than 100 events annually including UFC, boxing and other sporting events; major headline entertainment, awards shows and special events. The newest landmark will have a significant impact on the city’s entertainment landscape while providing Las Vegas visitors and the local community a guest experience second to none. This entry was posted in Home Page, Home Page Slider, News and tagged Bob Newman, Las Vegas, Las Vegas Arena, Rick Arpin, Sam Nazarian. Bookmark the permalink.